Jan Matejko was born in 1838 in Krakow into a mixed family with Polish, German and Czech roots. He was one of eleven children. His mother died, when he was only seven years old, and his father was strict and cold-hearted, so the Matejko family house was not a happy and warm one. Jan Matejko was closer with the family friends, Giebultowscy, that compensated lack of family love to the young boy. His childhood friend, Teodora Giebultowska, would later become his wife. From the very young age, Jan Matejko showed exceptional artistic talent but was unsuccessful in subjects at school. At the age of thirteen, Jan Matejko was admitted to the Krakow Academy of Fine Arts. He was very ambitious and worked hard, but had educational problems again, what was probably caused by financial difficulties, serious eye defect and conflict with school authorities. During his studies at the Academy, Jan Matejko became interested in the subject of history painting. Being only fifteen years old, he completed his first major work Tsars Shuyski before Zygmunt III. Following his graduation, he received scholarships in Munich and Vienna. Despite being exceptionally talented, he led the life of the proverbial “starving artist”. Jan Matejko’s interest in history is most visible in his work “Clothing in Poland“. This publication contained drawings of historical figures in costumes from different historical periods. It proved quite successful and with the selling of a couple of his previous works, Jan Matejko’s material situation improved. In 1864 he married Teodora Giebultowska, a woman considered to be selfish, envious and quarrelsome. Regardless the fact that she was despotic and capable of destroying Matejko’s canvases in anger, apparently he loved her very much. She posed for almost every painting and her face is the face of almost every woman in the paintings of Matejko. Teodora was for example painted as Queen Bona Sforza in the Prussian Homage. At that time, Jan Matejko started to gain international recognition. Until the end of his life, he had a great reputation, both in Poland and around the world. He was contributed with numerous awards, including exhibitions in Paris. He was nominated as a director of the Academy of Fine Arts in Krakow, which eventually was renamed the Jan Matejko Academy of Fine Arts. His financial situation had never been good since he was often selling with undervalued price or even giving his works for free. He also avoided public appearances, that frightened him. 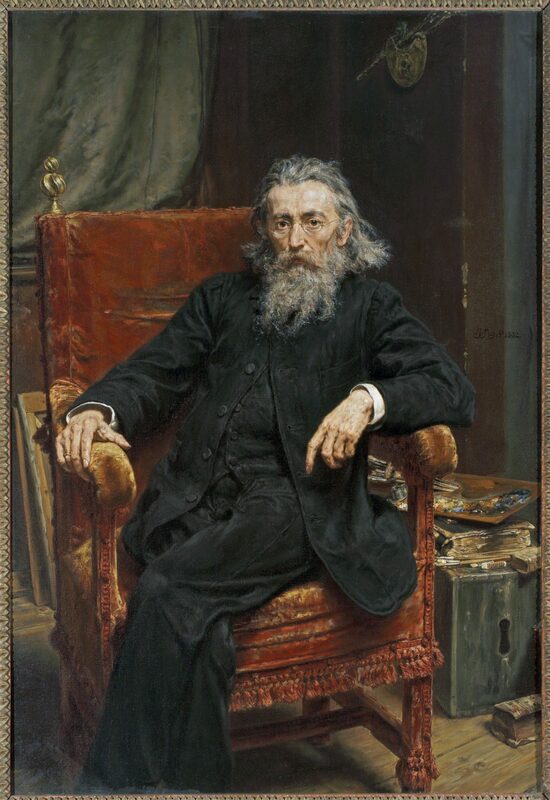 Jan Matejko died in 1893. Jan Matejko spent most of his life in his family house on Florianska Street. The historic building became a biographical museum devoted to Jan Matejko just a few years after the artist’s death. 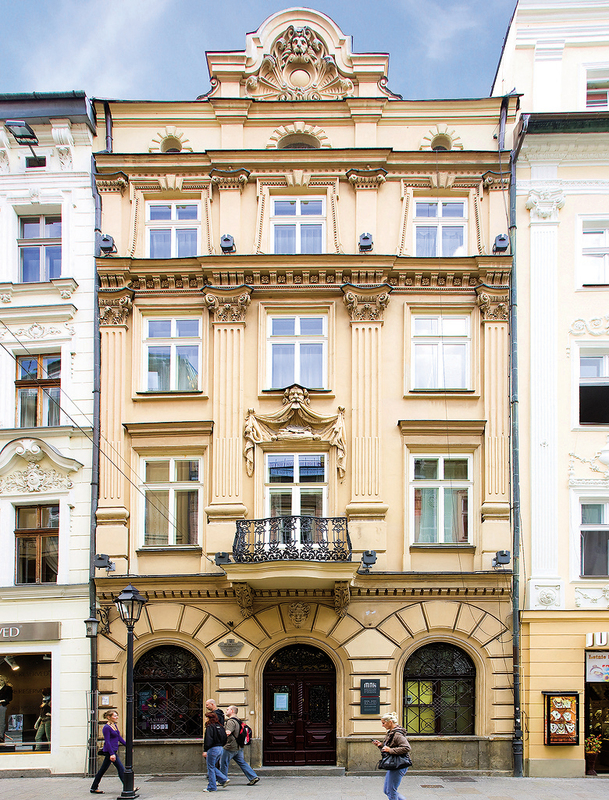 Already in 1898, the building was purchased from Matejko’s family and the process of collecting various memorabilia connected to the artist began. Since 1904 the house on Florianska Street has been a branch of the National Museum in Krakow. The exhibition is, in fact, the original interior of the painter’s house. Rooms are filled with authentic furniture, every-day use equipment, decorative items, old family photographs, personal objects (glasses, walking stick, etc.). Walls are decorated with Matejko’s oil paintings, watercolours, and drawings. Matejko was fascinated with textiles and costumes from different historical periods. Some of the clothing and accessories were designed by Matejko himself (for example his wife’s wedding gown), so a separate room at the museum is dedicated only to clothing. Today, the Jan Matejko House collection comprises approximately 6000 exhibits. Jan Matejko House as a museum institution concentrates on promoting unknown aspects of the artist’s life and work. He was not only the greatest painter of 19th-century Poland but also a pedagogue, mentor of young artists, free thinker and a committed promoter of heritage preservation. The museum also offers art workshops, museum lessons, educational activities for children and a regular series of lectures titled Thursdays at the Matejkos.